An on-site museum contains many finds. Coordinates: 43°31′16″N 26°33′06″E﻿ / ﻿43.52111°N 26.55167°E﻿ / 43.52111; 26.55167 The remains of Abritus (Abrittus) are located in the Archaeological Park of Razgrad and constitute an impressive Roman walled city that was one of the biggest urban centres in the province of Moesia Inferior. A Thracian settlement of the 3rd-4th c. BC has been found on the north bank of the Beli Lom river and an early Roman settlement extended it in the late 1st or early 2nd c. AD. At the end of the 1st c. AD a Roman military camp was built and in the 2nd c. the Cohors II Lucensium of the Legio XI Claudia (based at Durostorum) was stationed here. In 251 during the Gothic invasions the Romans suffered a disastrous defeat and the death of the Emperor Decius and his son Herennius Etruscus at the Battle of Abritus which took place about 15 km northwest of Abritus, in the valley of the river Beli Lom, to the south of the village of Dryanovets. The fortifications with massive walls, 3 m thick and 12 m high, were built around the town on the south bank of the river in 320-330 under Constantine the Great, seemingly for immigrant "barbarians" (foederati) as part of the policy of pacifying them. However, the walls could not withstand the destruction of the city in the Gothic Wars in 376-8, in 447 by the Huns and in the 480s again by the Goths. Each time it was rebuilt and in the 5-6th centuries Abritus was one of the largest cities in the province and seat of a bishop. The gates were narrowed under Justinian (527-565) to provide better security. However the city was destroyed by the Avars in 586. 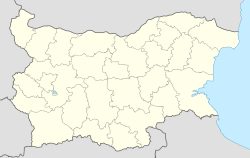 Later a Bulgarian mediaeval settlement was built, which existed until the 10th century. The first archaeological survey was done in 1887 by Ananie Yavashov and regular excavations were conducted from 1953. The walls enclosed an area of 15 hectares and had 35 bastions projecting in front of the wall. The southern wall was more vulnerable than the others as it was overlooked by a slope outside and hence the southern gate was recessed from the wall which was also thicker in this area and a moat was dug outside it for extra protection. Two of the bastions have superstructures built to the original height to illustrate their impressive size. Army barracks were located, at least, to the side of the north gate in which arms were discovered. Two aqueducts are known; one from the 2nd c. originating at a spring near Peroishte 6 km southwest of the city and passing through ceramic pipes and arriving under the south gate, and the other coming from Nedoklan 3 km to the northeast. The largest late empire hoard of gold coins in Bulgaria was found just inside the eastern wall consisting of 835 gold coins weighing 4 kg and dating from the 5th century, probably hidden during invasion of the Goths 487. Teofil Ivanov & Stoyan Stoyanov (1985), ABRITVS - Its History and Archaeology, Razgrad: Cultural and Historical Heritage Directorate. A. P. Kazhdan (1991), Oxford Dictionary of Byzantium, Oxford: Oxford University Press, at 6. Teofil Ivanov (1963), Archäologische Forschungen in Abrittus: (1953-1961), Sofia, BAN. Dinu Adameșteanu, "Abrittus (Razgrad) Bulgaria." The Princeton Encyclopedia of Classical Sites Stillwell, Richard. MacDonald, William L. McAlister, Marian Holland eds. Princeton, N.J.: Princeton University Press, 1976, Accessed on 1 April 2012. Abritus Archaeological Reserve, Razgrad at Bulgariatravel.org (Official Tourism Portal of Bulgaria), Accessed on 21 April 2012. Wikimedia Commons has media related to Abrittus.